Air France flights depart from Terminal 4 at Heathrow. Having checked in online and travelling with hand luggage only, proceeded directly through Fast Track security lane and was pleased to find instant service for the screening at 07.30am on a Monday morning. 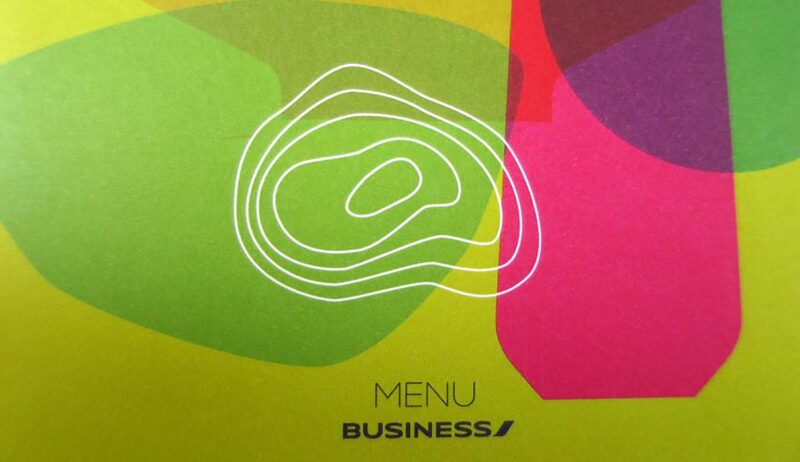 Air France business class customers can use the SkyTeam lounge here at Terminal 4. As a short haul lounge facility, it is quite satisfactory, and being a frequent visitor to this lounge throughout 2015, not much has changed. A good original design, the lounge is now starting to look a little worn and dated, furniture in need of renewal, as are the carpets. The lounge was not crowded on this visit, and there was a hot / cold breakfast selection on offer, this of a reasonably good standard. A wide selection of UK and other nationality newspapers and magazines are displayed, and the WiFi connection is quick and easy to access with reasonable speeds. Flight screens inside the lounge update frequently with boarding details, although the lounge Reception staff failed to mention that this Air France flight was boarding from a very distant gate with about 15 minutes walk. Toilets in the lounge were reasonably clean. This was from a very distant gate and approx. 15 minutes from the lounge area. On arrival to the gate, staff were just starting to board SkyPriority and Business class customers, so it was a seamless stroll onto the aircraft to stow hand luggage and be seated. The flight was operated by an Air France A321 aircraft, and business class was about 90% full. Business class customers are permitted 2 x checked baggage up to 32kg, and 2 pieces of hand luggage up to 18 kg total. 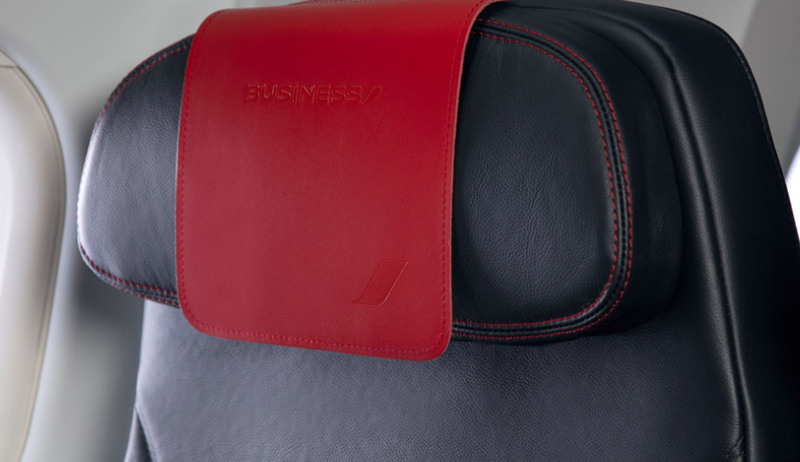 Business class seats use the adjustable 3×3 seating which are arranged 2×2 with an empty middle space. The seat pitch is 32 inches. This aircraft had quite new seats, nicely finished and they offer more than adequate comfort for a sub 1 hour flight. A single toilet at the front of the aircraft is dedicated for business class customers. This was checked once during the flight and noted to be clean. The flight pushed back on schedule, and the arrival into Paris CDG was 5 minutes early for parking at the gate. This 09.40am flight departure provided a “light meal” option. A cold meal, this offered a small open sandwich, bowl of fruit and some pastries. Staff offer a full bar service including champagne, although opted for coffee only on this trip. 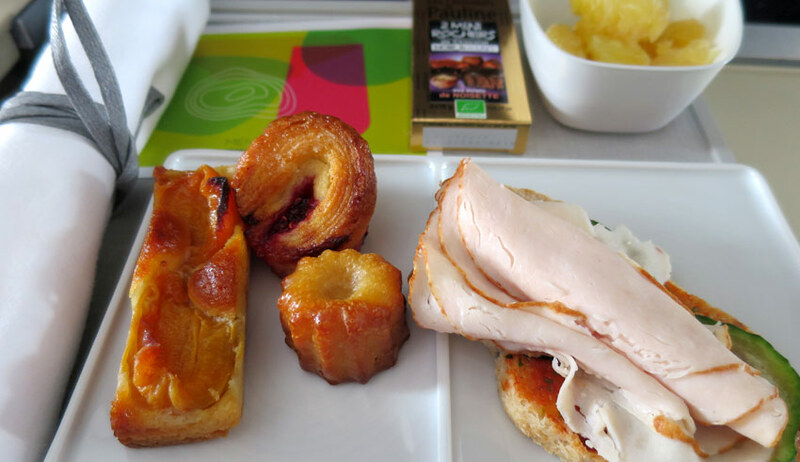 The food was to a good standard, and is substantial for a short, mid-morning flight. Air France do not provide in-seat PTV entertainment on these short haul A321 aircraft, nor is there any power source in the seat. No blankets or pillows are offered. A small pillow could be requested from the cabin staff. The service is limited by the very nature of such a short flight. During boarding the 2 cabin staff standing by the front galley were courteous and did offer a welcome to all joining customers. The cabin safety checks seemed to be conducted to a good visual standard. 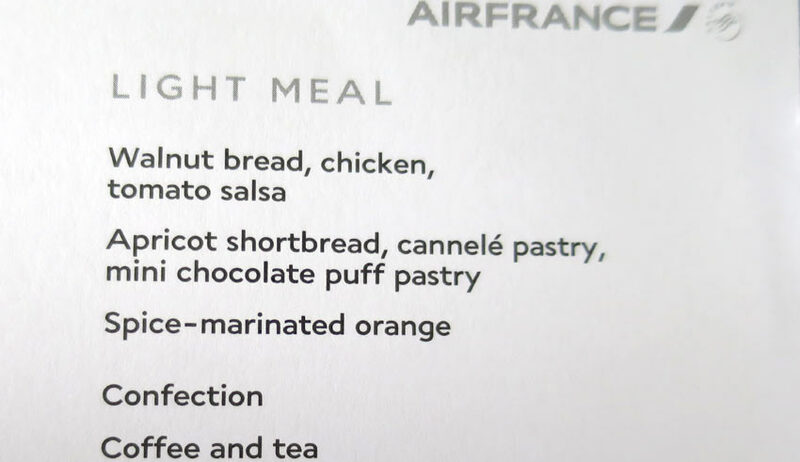 Inflight, the service was based on the snack service and hot/cold beverages, and this was carried out in an efficient and polite manner. All in all, no complaints and no real opportunity for the service to have been any better. Arrival service into CDG was quite efficient with Air France ground staff meeting the flight to assist customers with connections. This is a very short flight and everything went to plan and was on time. The extra cost of business class versus economy class is quite variable according to the time of day on this route, but for this trip it was considered to be a good deal. Fast track security, the SkyTeam lounge at Heathrow and priority boarding there all worked well, plus the additional onboard space and being able to exit the aircraft first on arrival into CDG airport made this option worthwhile.